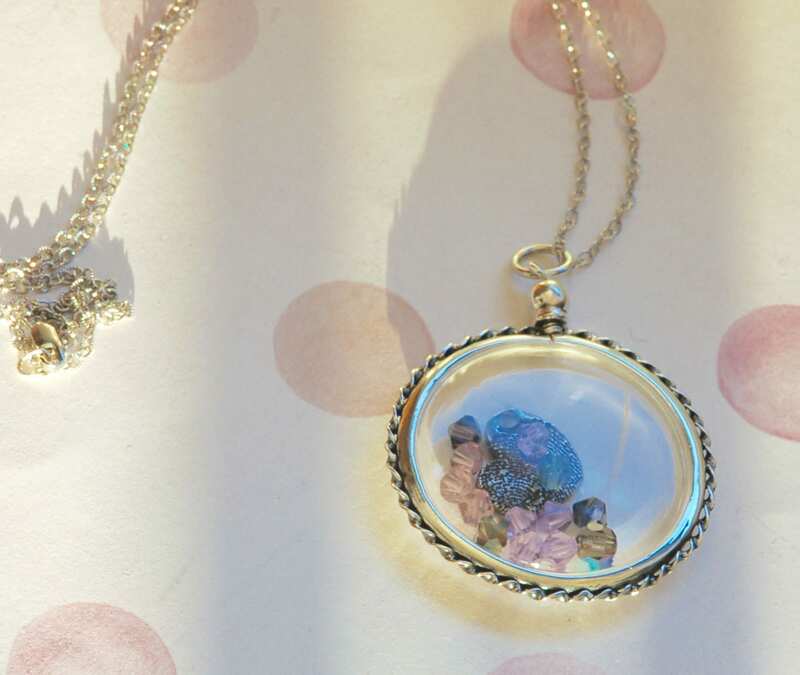 This floating locket is made of 925 Sterling Silver. 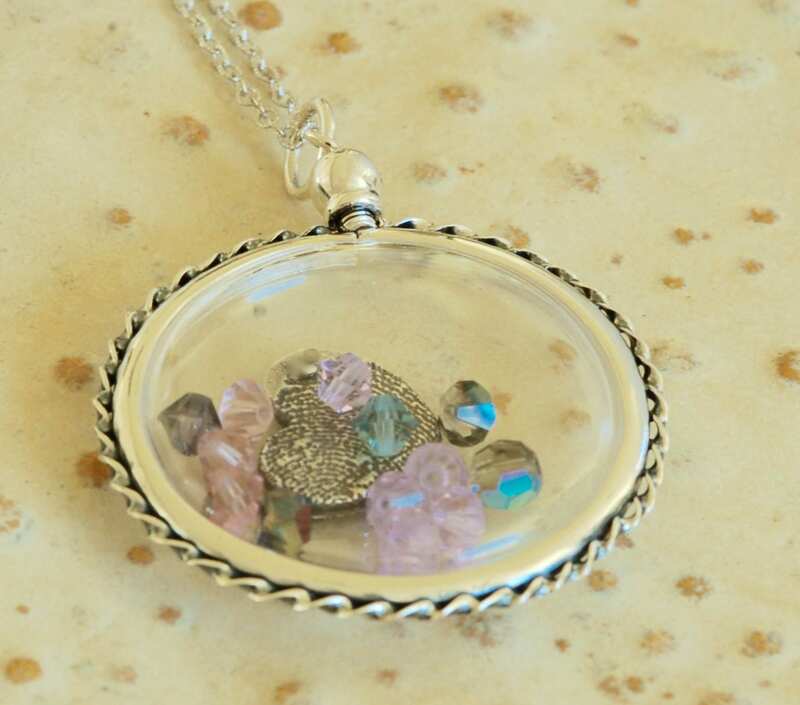 Simple to open locket: Unscrew the top, carefully remove the silver outer ring, and separate the two clear acrylic pieces. 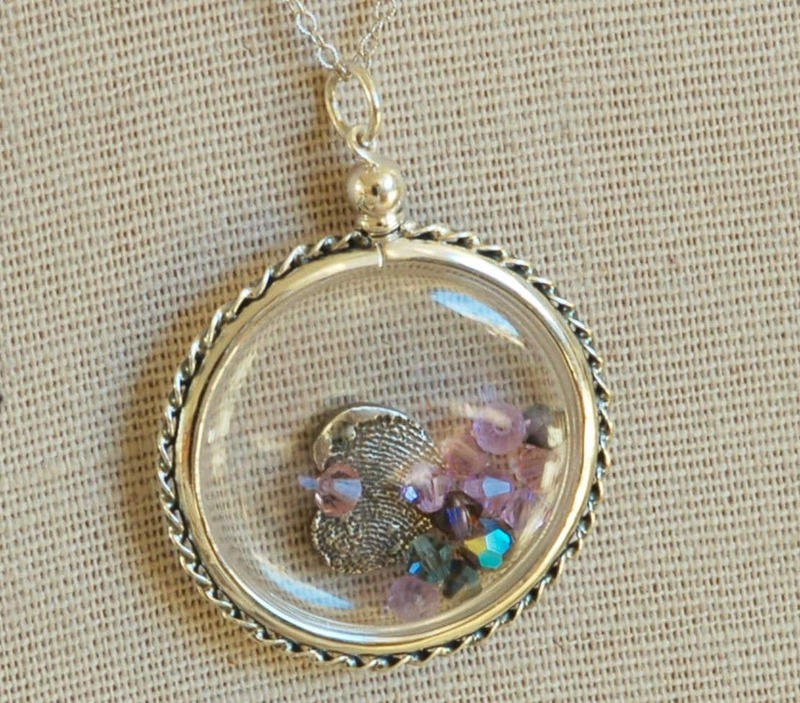 Please send me your fingerprint and I will make a fine silver heart insert to rest in the locket. I show a small heart in the photo. I also make a medium heart or large heart. 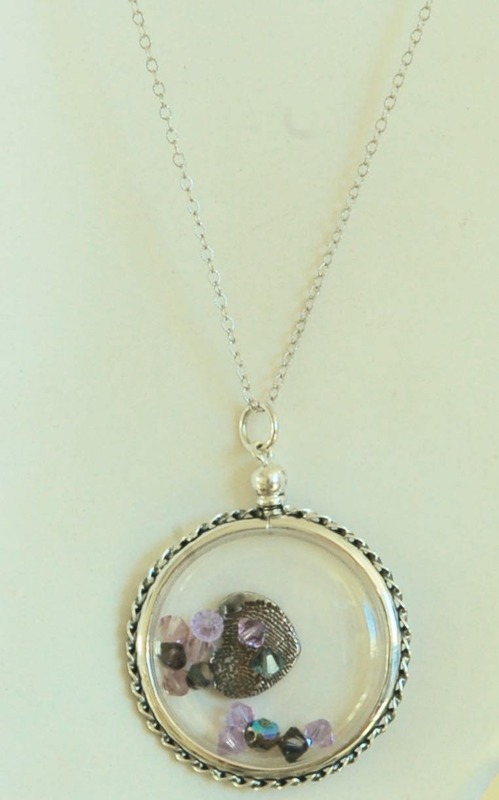 Locket will also hold 2 photos back-to-back or treasured keepsakes such as dried flowers, small colored beads or a lock of hair. Dimensions: 35 mm diameter (1 3/8"). Sterling silver necklace. Choose 16, 18 inch chain. Convo me if you would like a longer chain. Also, if you would like specific inserts, different shape or Swarovski crystals please convo me for a custom item..I love making custom pieces! I am so pleased with this locket. She made sure to make it to my specifications and got it here before Christmas even ordering late. God bless you for that it is a treasure we will always cherish thank you.